When educators are given the opportunity to observe other schools and teachers, the impact can be empowering and transformative. 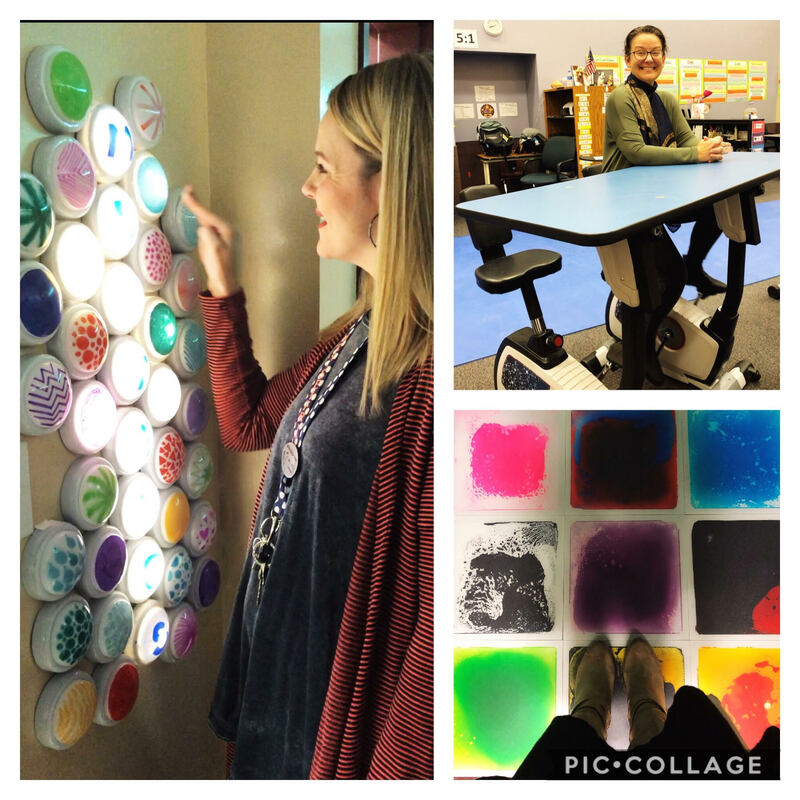 This is why on November 14, 2018, The Arkansas Department of Education (ADE) in partnership with The Office of Innovation for Education (OIE), facilitated the first of a series of study tours around Arkansas to shine a spotlight on highly effective programs and innovative schools around the state. Participants were given information about 10 schools in Northwest Arkansas and chose 2 schools to visit that best met their learning needs. 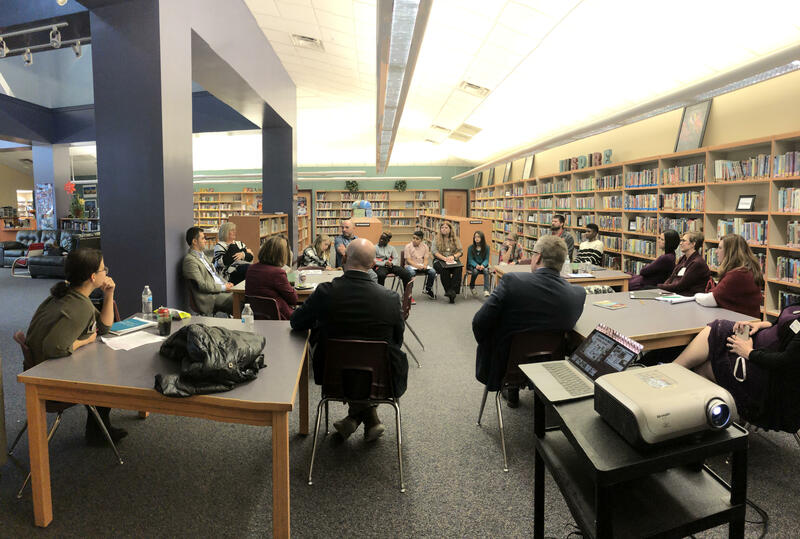 The participating schools were Bentonville High School, Washington Junior High, Holt Middle School, McNair Middle School, Pea Ridge Primary, Pea Ridge Intermediate, Reagan Elementary, Allen Elementary, Siloam Springs High School, and the Don Tyson School of Innovation. I had the opportunity to visit McNair Middle School and Holt Middle School in Fayetteville and I was intrigued to see that both schools had different methods for meeting student needs, however they were both still incorporating many of the “big rocks” that we know we must provide for students to help them dive into deep understanding in their learning: inquiry, voice and choice, and social emotional learning. 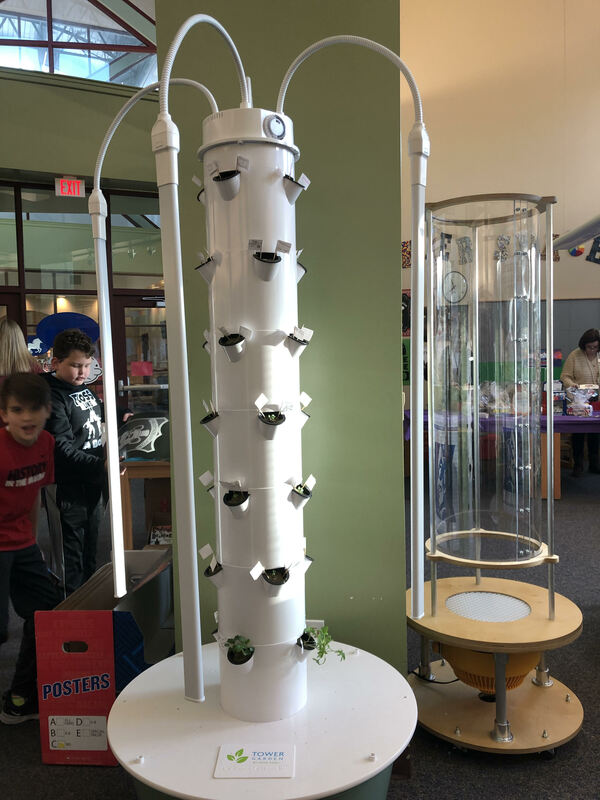 1 of 2 Aeroponic Tower Gardens in the Makerspace at McNair Middle School. When students are inquiring, they are discovering the answers instead of being given the answers. 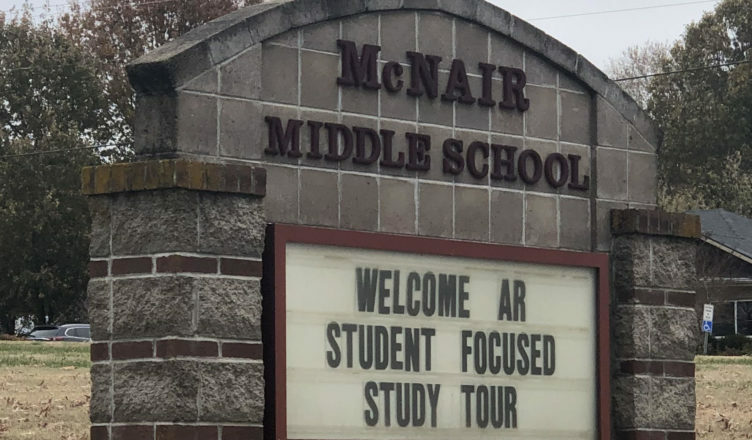 McNair highlighted multiple avenues for inquiry-based learning at their school including a Makerspace, raising Trout in the Classroom, and Project Lead the Way. 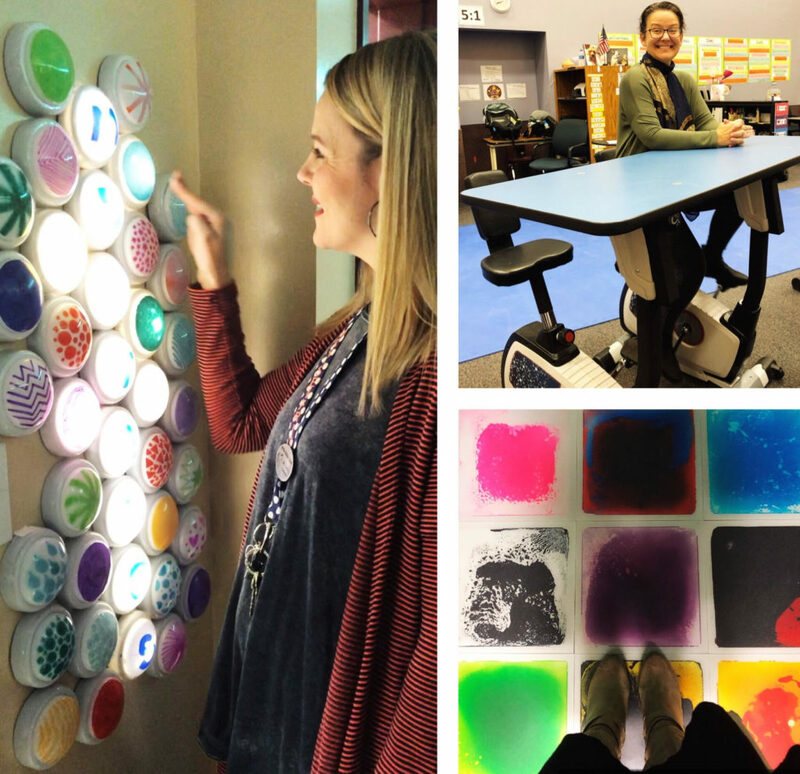 According to Beth Lewis, McNair’s Library Media Specialist, “[m]akerspace or tinkering is a learning space that students can problem solve and create with hands-on learning experiences.” Lisa Davis, who is now McNair’s principal, started the project in 2014, but Lewis has continued to expand the program. “The space, amount of materials, equipment and electronics started small at first. This space has continued to grow with funds from the school, donations, grants and book fairs. Items include 3D printers, green screens, Legos, Ozo Bots, iPads, wind tunnels, Aeroponic tower gardens (pictured left), Keva Planks, circuit blocks and a variety of art and craft items.” Lewis is now educating teachers about how to incorporate Makerspace in their classrooms for an even bigger impact. Justin Keen, a 5th Grade Social Studies Teacher at McNair, provides opportunity for inquiry in his classroom through the Trout in the Classroom program, an initiative by Trout Unlimited. 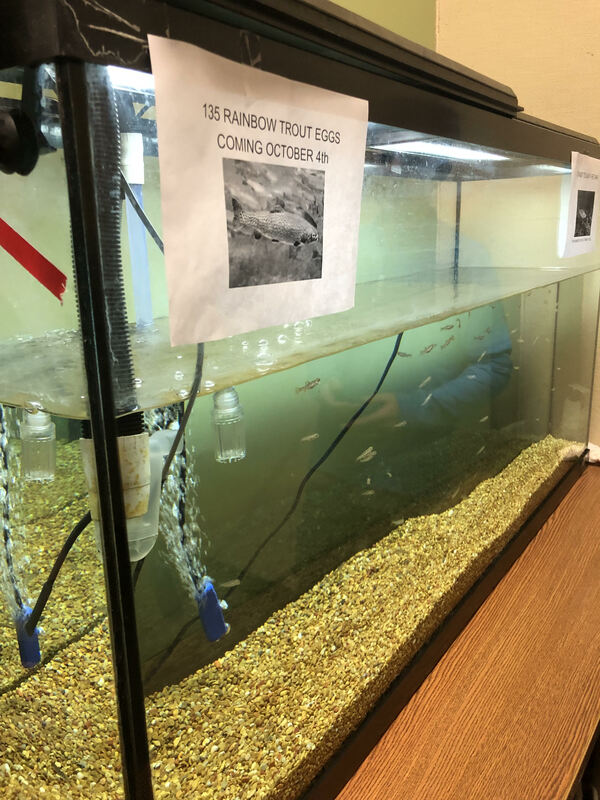 “We partnered with the Arkansas Game and Fish [Commission] to raise rainbow trout in the school to be released into Beaver Tailwater in Eureka Springs next spring. We started with 135 trout eggs (see picture below) delivered from the Norfork National Fish Hatchery in Salesville, Arkansas in early October,” said Keen. Through inquiry-based learning, students learn about the life cycle of trout, water ecology, and conservation of wildlife/ wild places. The learning doesn’t stop there! Keen, alongside 5th Grade Math Teacher Shane Smith, expand the learning outside of the classroom through a Fly Fishing Club. “We take students on two different fishing field trips, practice bi-weekly (tying flies and casting) and participate in cleanups and other conservation projects,” said Keen. Want to learn more? The Arkansas Game and Fish Commission featured the program in the video below. Check it out! 135 trout that recently hatched at McNair Middle School. 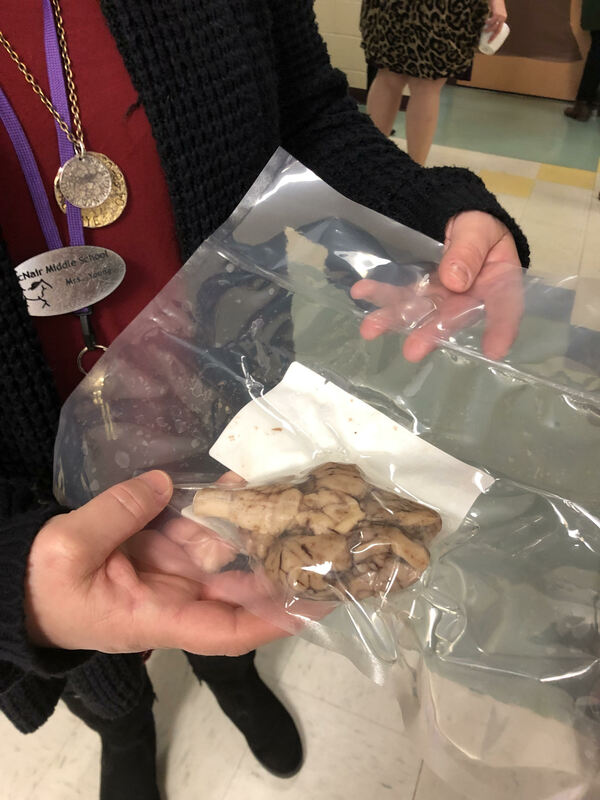 A lamb brain to be dissected by all 6th grade students at McNair Middle School. McNair also houses a Project Lead the Way (PLTW) classroom. Through this initiative, all 6th grade students take a class centered around inquiry-based learning. 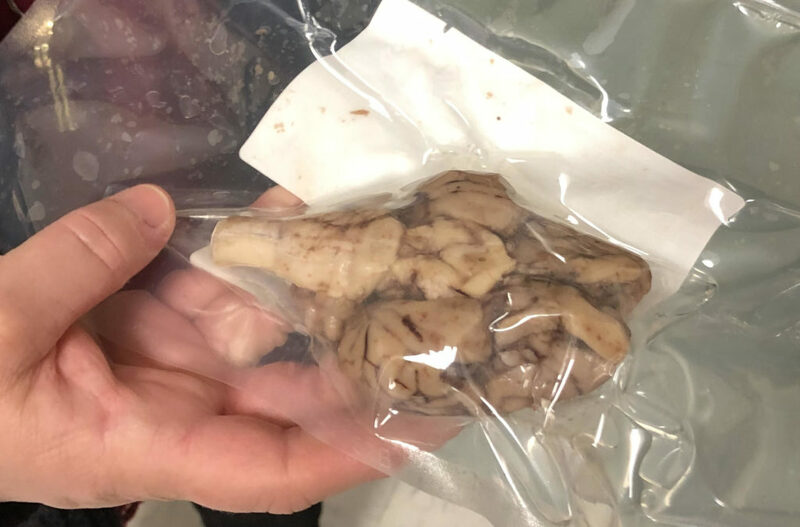 According to their website, PLTW “…create[s] an engaging, hands-on classroom environment and empower students to develop in-demand knowledge and skills they need to thrive.” Most recently, students at McNair dissected lamb brains. To learn more about PLTW, visit their website. 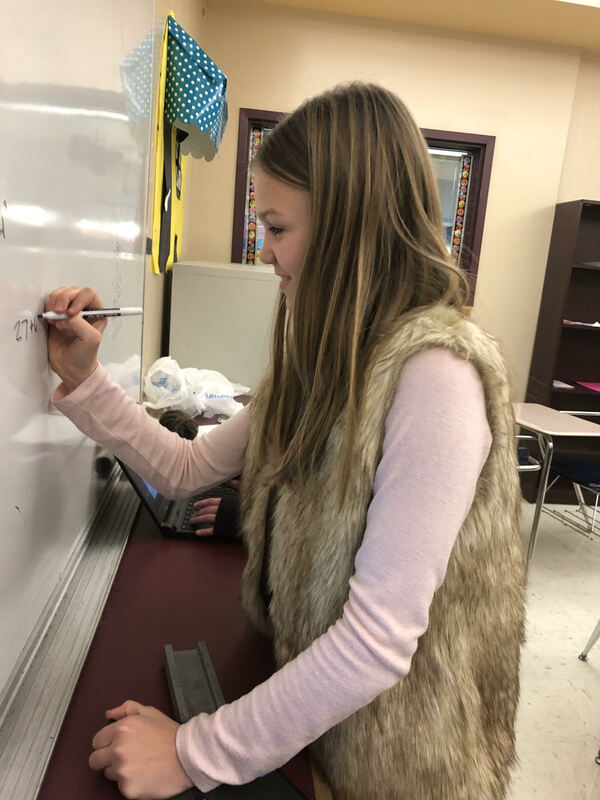 A student takes ownership of their learning during the Afternoon Block of Personalized Learning Time at Holt Middle School. In a traditional classroom, teachers are in charge of what and how students learn. With student-focused learning, students have a voice and a choice about what and how to learn. Which is why Holt Middle School has incorporated an afternoon block of personalized learning time after visiting schools in New Zealand. 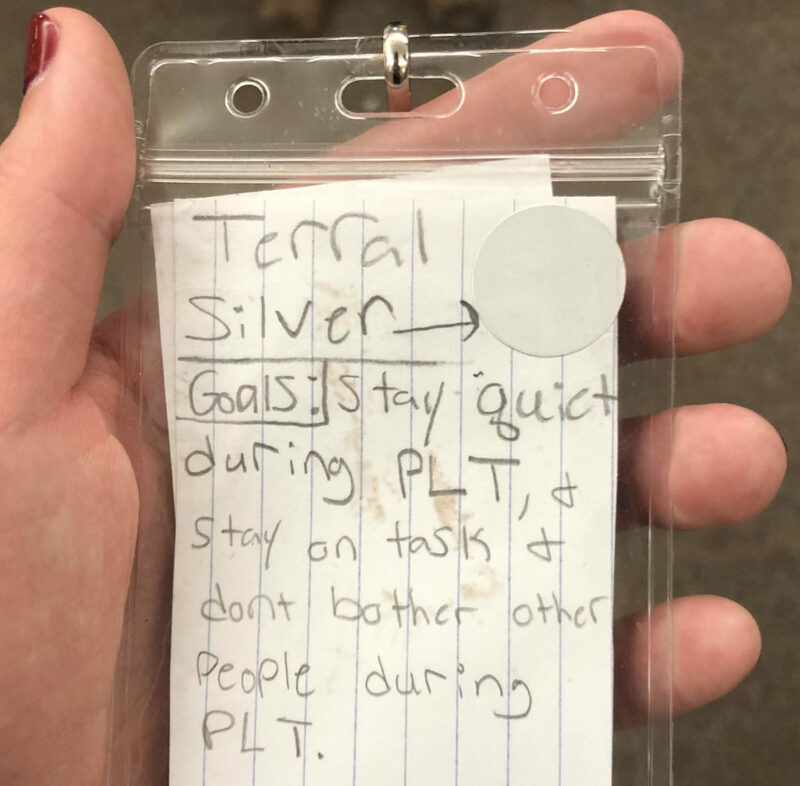 According to Blaine Sanders, a 5th Grade Science Teacher at Holt, the “Afternoon Block time at Holt is meant to give the learner more time to work at their own pace and have more of a say in how and where they learn. The goal is for them to have some time not only to learn the curriculum, but also to learn how to be a self-manager and develop other learner qualities. These are skills that aren’t necessarily tested, but are vital skills to becoming a life-long learner. Personalized Learning is more about working with the students to figure out ways for them to best access curriculum, as opposed to the other way around. By having more flexibility in our schedule, we are able to provide different learning opportunities compared to what we are able to offer in a traditional setting. If we get the students more involved in their own learning, the only limit to what they can achieve is time.” Like anything new, Sanders admits that there are growing pains, however they are beginning to see “unique and inspiring” results. 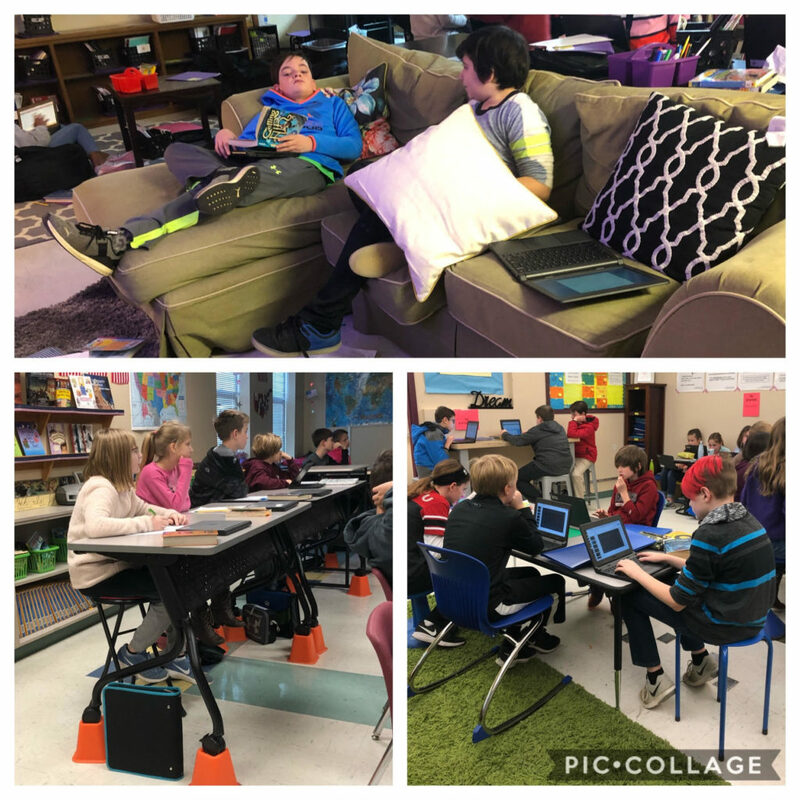 Other ways that the schools are giving students choice is through flexible seating. When students have different options about where to learn, they can choose a spot where they are comfortable which helps them to stay focused on their learning. Flexible seating also promotes a shared learning space where students can engage in meaning collaboration and hands on learning. Flexible seating at McNair Middle School. 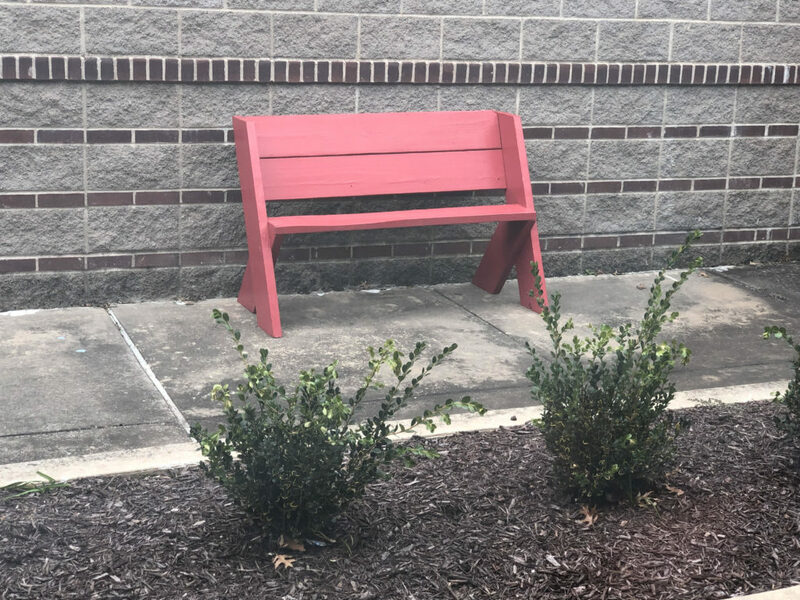 A bench built by students at Holt Middle School. 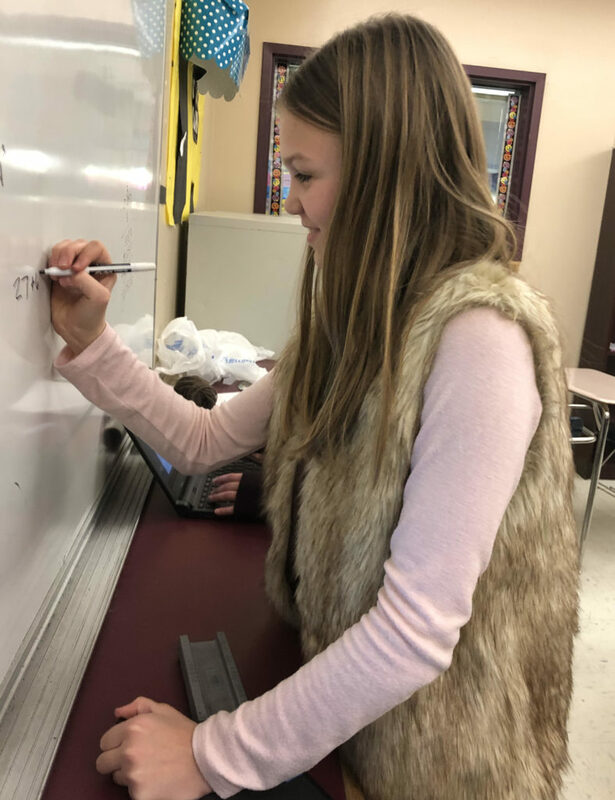 Holt also promotes student voice by allowing time for “passion projects.” If a student sees a problem that needs to be fixed or if they have something that they are passionate about doing, teachers support them in making it happen. For example, a student at Holt saw a need for seating in their outdoor area, so they set out to make it happen. From planning, to finding materials, to building the benches, this student turned their idea into a reality (pictured left)! Sensory opportunities at McNair Middle School. A student integrity card from Holt Middle School. Holt has started using Integrity Cards with the students. There are 3 levels of integrity; bronze, silver, and gold. 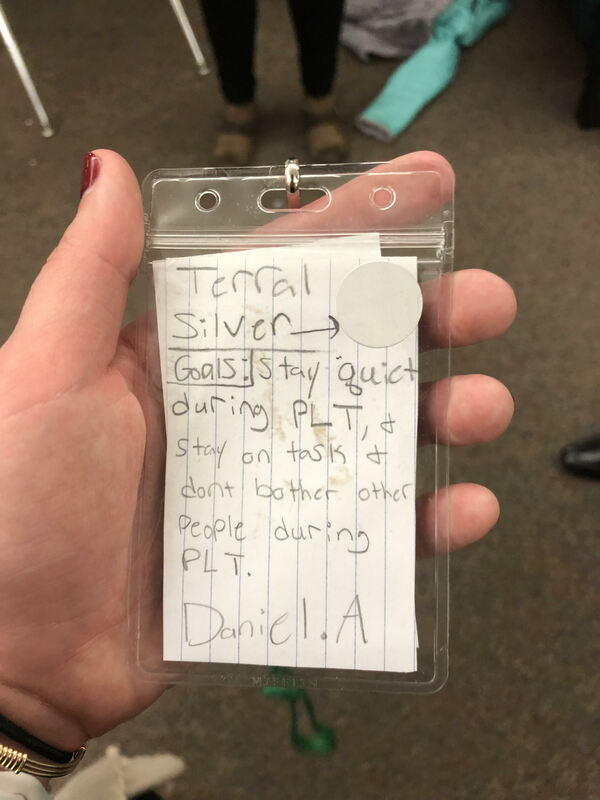 According to Holt’s Principal, Matt Morningstar, ” [t]he Integrity Cards have come about by rich learner discussions to define the levels and expectations. Deciding where they fall on those levels and then meeting with a teacher to confer about their selection. Once a level is chosen, the ability to remain on that level or level up/down is discussed.” Implementation of integrity cards is a way to help manage the Afternoon Block of Personalized Learning time, while also building integrity within the students. “Being able to change the environment that the learners engage with curriculum hinges on the ability to self-manage and make the right choice in using time. Learners use their Integrity Card level to change the learning space and learn in multiple locations around our campus. The learners value the freedom that the highest level of Integrity Card provides and has been a motivator in meeting and exceeding classroom expectations,” said Morningstar. Growing children means hungry children! If students are hungry, they are unable to focus on their learning. 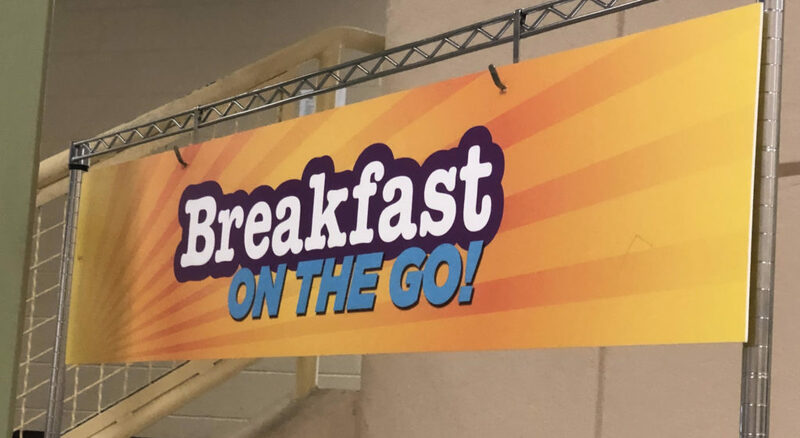 McNair’s former principal, Michelle Hayward, started the “Breakfast on the Go” program at McNair to ensure that McNair’s students don’t go to class hungry. If students are in a hurry in the morning, that doesn’t mean they skip breakfast. Instead, they can grab it “on the go” and eat when they get to class. 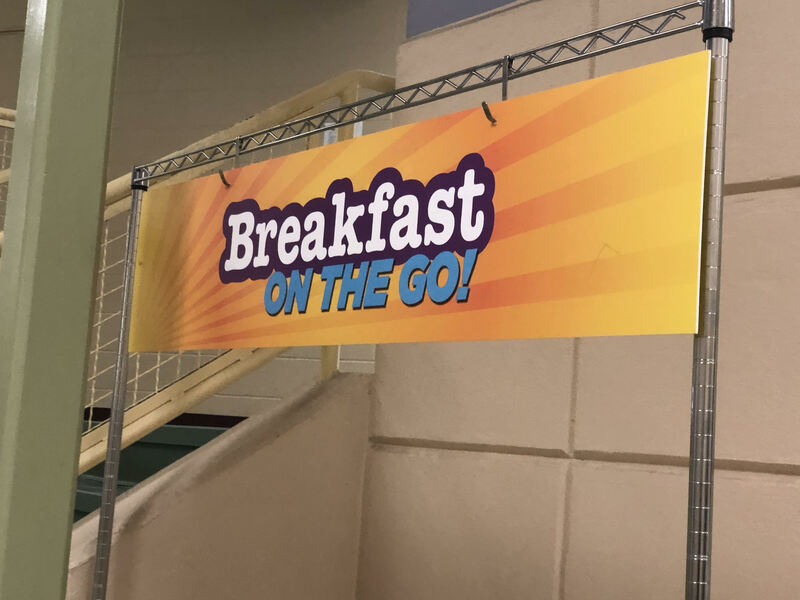 A Breakfast to Go cart at McNair Middle School. Educators listen as students and teachers discuss personalized learning at Holt Middle School. There is a tremendous amount of innovative, student-focused practices happening in Arkansas schools and one of the best ways to learn is by seeing them first hand. Join us as the series of #ARStudentFocused Study Tours continues next year. You can follow us on Facebook or Twitter for future dates. Unable to attend? OIE would be thrilled to connect you with other schools within our state to help build your learning community. A special thanks to all of the schools that opened their doors for the first Study Tour in Northwest Arkansas!